On this historically significant page, Ronald Reagan has written the Presidential Oath of Office that he took for the first time on January 20th, 1981. These simple words, about protecting the Constitution of the United States and the American people, constitute the most serious and meaningful promise an American citizen can make. 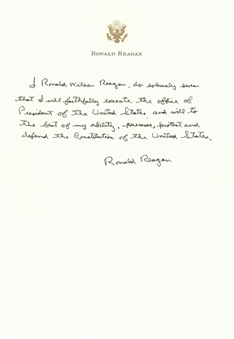 In bold fiber-tip marker, President Reagan has written “I Ronald Wilson Reagan, do solemnly swear that I will faithfully execute the office of President of the United States, and will to the best of my ability, preserve, protect and defend the Constitution of the United States”. President Reagan has signed his name below this solemn oath in the same fiber-tip black marker. 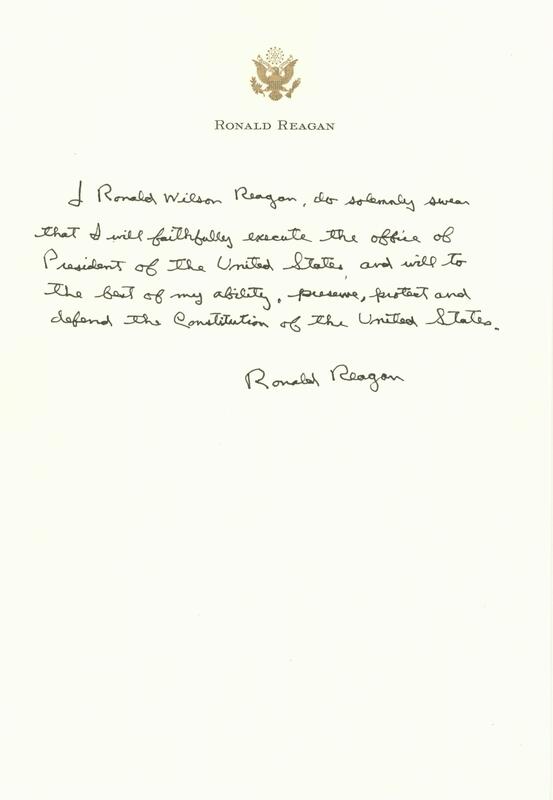 This Oath of Office has been written on President Reagan’s personal stationary. “Ronald Reagan” is printed in black on the top of this 7.25 x 10.5 inch paper, which features a gold Great Seal of the United States embossed above President Reagan’s name. 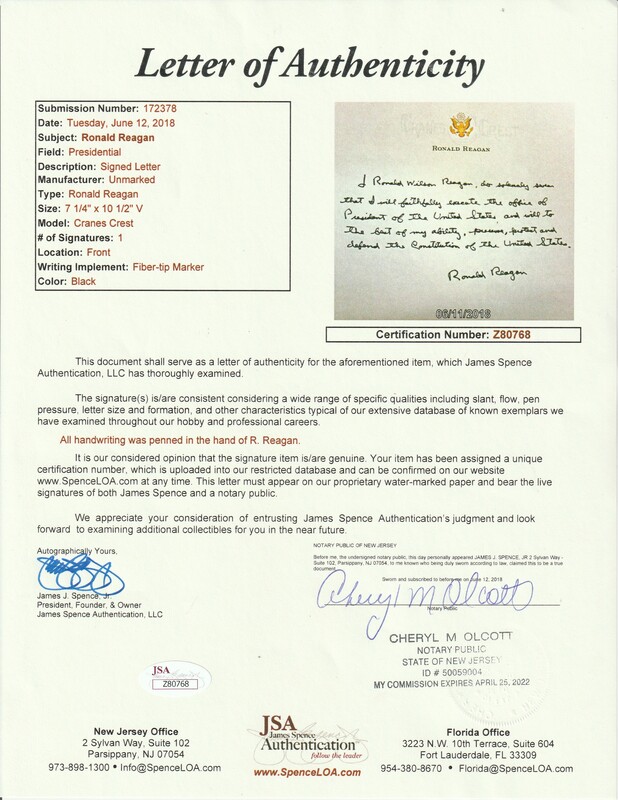 A Cranes Crest Paper watermark is present on the top of this white paper. Ronald Reagan held the office of President with great distinction from 1981 to 1989, leading America through a period of great prosperity during an uncertain time in the world. This handwritten Oath of Office is one of the crowning objects of Presidential memorabilia and would instantly become the centerpiece of any serious collection. This item comes with a LOA from JSA (Z80768).